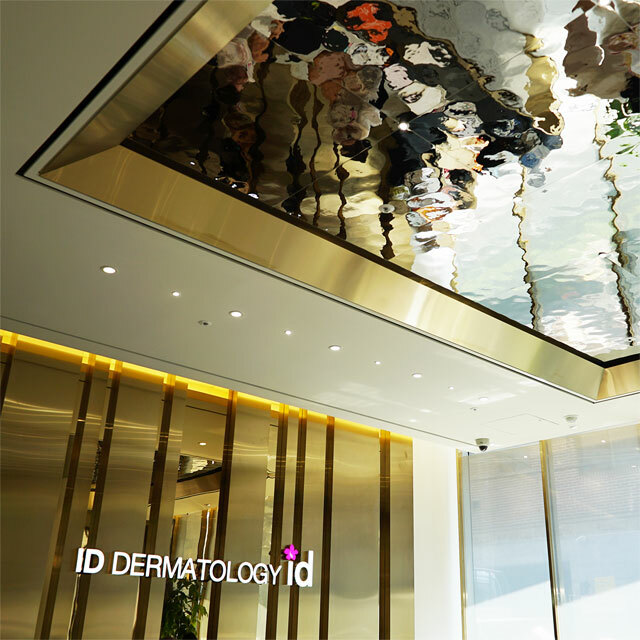 The ID Hospital is specialized on plastic and aesthetic surgery. The clinic is located in Seoul, south of the Han River, in the Gangnam District. The dermatology department of the ID Hospital is located in a separate building. This building was designed by the architectural firm SEL. 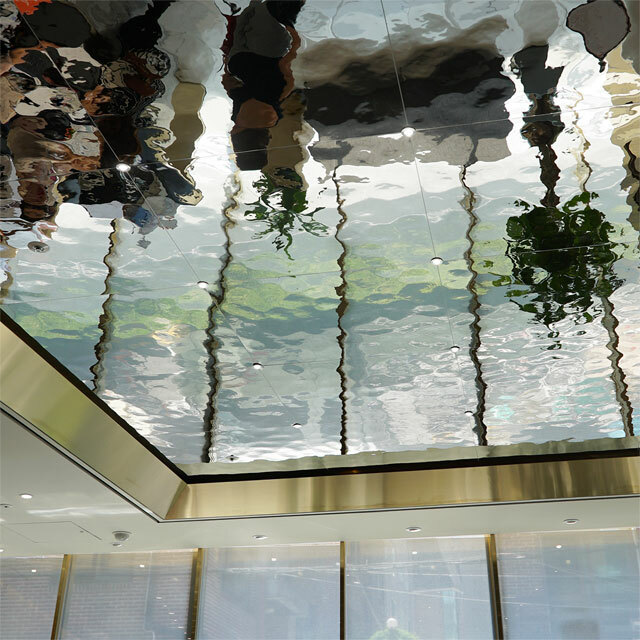 The architects choose Product Line EXYD-M (silver-colored stainless steel, material thickness 0.8 mm) for the ceiling of the reception room of the department. 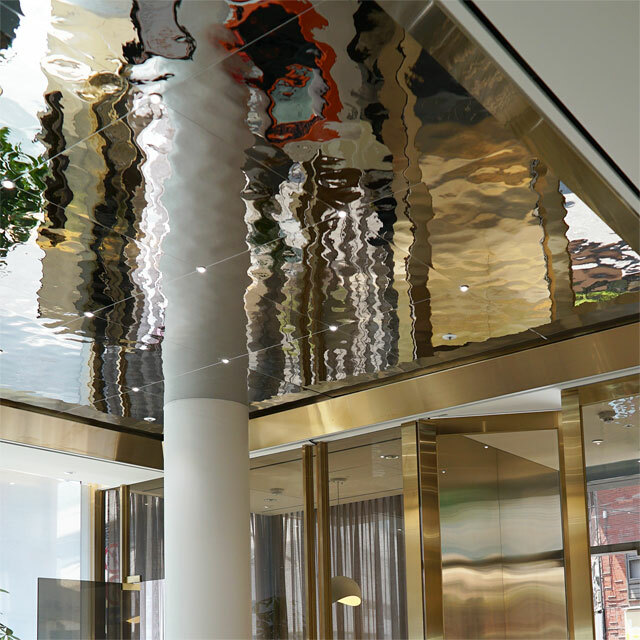 Due to the frame of the ceiling the ceiling looks like a picture – one is tempted to say, that the ensemble is a reminiscent of an impressionistic painting. Photos above: Ceiling of the reception room of the dermatology department. Photo below: Entrance of the dermatology department.